A new Gallup poll shows still rising support for marijuana legalization, a new report from the IDPC calls for a radical shift in UN drug control policies, Bangladesh moves toward passing a bill mandating the death penalty or life in prison for even possessing small amounts of some drugs, and more. Gallup Poll: Two in Three Americans Now Support Legalizing Marijuana . Sixty-six percent of Americans now support legalizing marijuana, another new high in Gallup's trend over nearly half a century. The latest figure marks the third consecutive year that support on the measure has increased and established a new record. The poll is in line with other recent polls that have shown support for marijuana legalization above 60%. Gallup found last year that a slim majority of Republicans supported legal marijuana for the first time, and this year's figure, 53%, suggests continued Republican support. Views that pot should be legalized have also reached new peaks this year among Democrats (75%) and independents (71%). Democrats reached majority-level support for legalization in 2009, and independents did so in 2010. 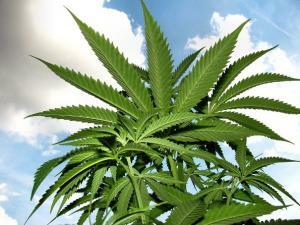 North Dakota Poll Has Legalization Initiative Leading . A poll commissioned by LegalizeND, the group behind the Measure 3  legalization initiative, has support for the measure at 51%, with 36% opposed. The poll has a 4.9% margin of error, so support could actually be under 50%. What is encouraging is that undecideds would have to break pretty decisively against the measure for it to be defeated. New Jersey Ponders Allowing Medical Marijuana to Treat Opioid Addiction. The state Health Department has proposed a rule change that would make medical marijuana available to potentially thousands of opioid users. "Physicians should consider marijuana as another appropriate treatment for patients with many medical conditions, especially diseases for which conventional therapies aren't working for their patients," Dr. Shereef Elnahal, the state health commissioner, said in a statement. Current rules allow only people who became addicted to opioids while trying to manage chronic pain from a musculoskeletal to qualify for medical marijuana, but the proposed new rule would allow anyone with an opioid use disorder to use it. Canada's Ontario to Move Forward on Safe Injection Sites . The provincial government has decided to keep its overdose prevention sites open and repurpose them as "consumption and treatment centers," Health Minister Christine Elliott announced Monday. Premier Doug Ford had been opposed but said he would listen to advice from experts. Apparently, he has. Overdose-prevention sites are temporary facilities approved by the province to address an immediate need in a community, while supervised-drug-use sites are more permanent locations approved by the federal government after a more extensive application process. Vanuatu to Legalize Medical Marijuana . The Republic of Vanuatu, a 277,000-person South Pacific nation, has taken the first step toward legalized medical marijuana. "I confirm that the council of ministers on Sept. 20 passed a policy paper to change the laws of Vanuatu to permit the cultivation and use of cannabis for medicinal and research purposes in Vanuatu by licensed parties," Vus Warorcet Nohe Ronald Warsal, the country's acting deputy prime minister and minister for trade, tourism, commerce, and Ni-Vanuatu business, said in a letter. The government will present legislation to the parliament later this year, with licenses expected to be issued by December. Bangladesh Moves Forward With Death Penalty Drug Bill . The government has sent to parliament a bill that contains provisions mandating the death penalty or a life sentence for possessing, producing, or distributing more than five grams of methamphetamine or more than 25 grams of heroin and cocaine. Under current law, there is no provision for the death penalty or life sentence for heroin and cocaine offenses.